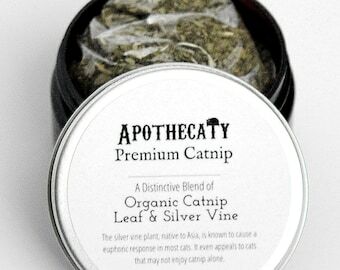 Apothecaty Organic Catnip & Valerian Root Blend combines premium organic catnip and valerian root - both grown in the USA. Valerian root is a lesser known cat attractant and some cats are sensitive to valerian root and will get revved up and excited by it! One study showed that approximately 40% of cats were excited by valerian root*. Pet obesity is a major problem in the U.S. and catnip is a healthy, natural way to excite your cat and get them moving. It's always a good idea to provide an enriching environment for your cat and to engage in play with them to strengthen your bond. For best results, pinch some catnip between your fingers and crush the leaves to help release the potent oils. Sprinkle the catnip and valerian blend where your cat likes to play! 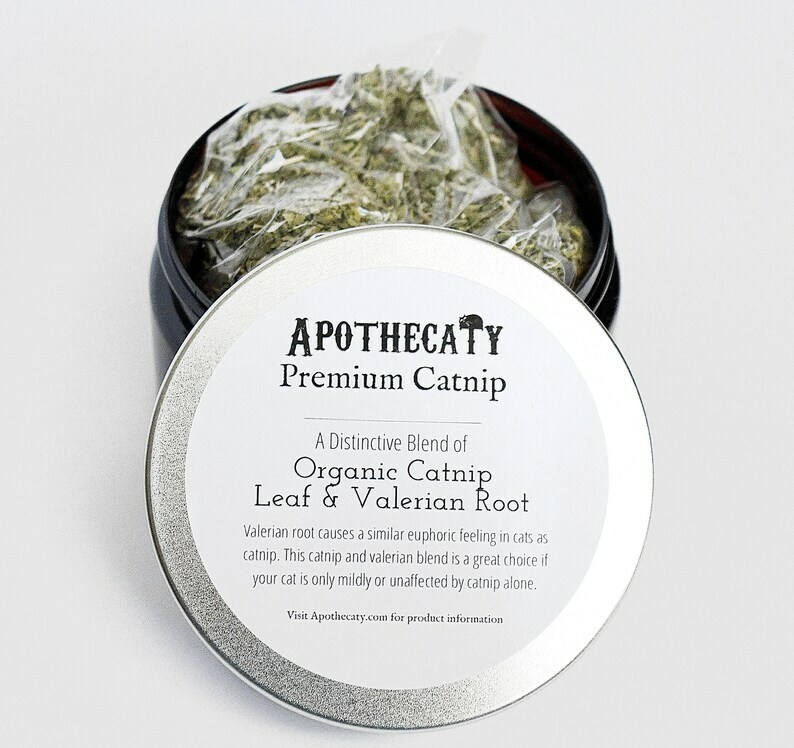 If you cat doesn't react to catnip and valerian, try one of our other catnip blends!